A Diamond Select Release! Based on many digital files from the Lucas archives! 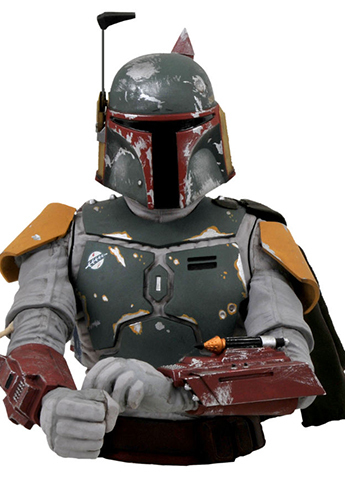 The most popular bounty hunter in the universe is now ready to guard your room and your loose change. Measuring just over 8" tall and detailed down to every last blaster mark earned over the years in his pursuit of pay and revenge. His hatred of the rebels and the Jedi has been growing since his youth but now you can collect this impressive sculptor at a great value, and out the change right in the bank.